Two iconic American corporations, Starbucks and Facebook, have been getting raked over the coals lately. 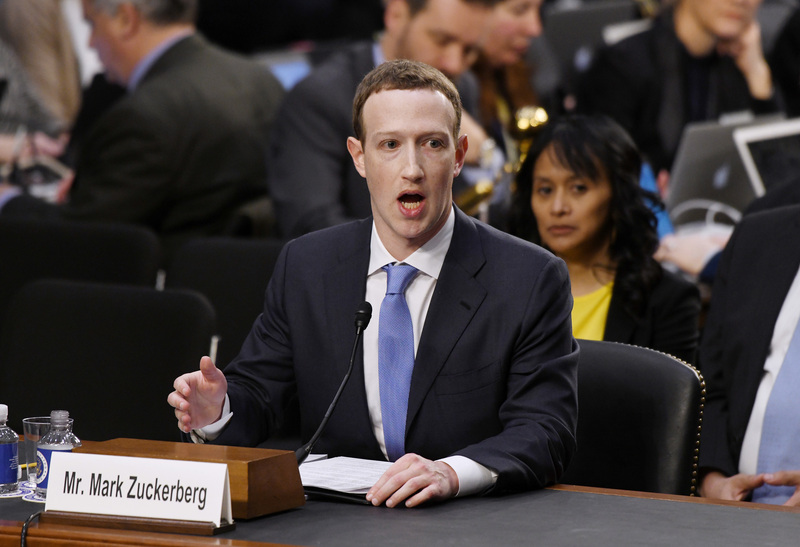 Facebook’s founder and CEO, Mark Zuckerberg, took what passed for heat before Congress on the revelation that personal data had been lifted from the profiles of a billion of its users worldwide. And two black males were rousted by six cops at a Spruce Street Starbucks in Philadelphia for “defiant trespass” after failing to place an order within two minutes of sitting down. At first glance, these events would seem to have little to do with each other. Taken together, though, it seems to me they say a lot about the state of the country. Starbucks has been a phenomenal business success for a simple reason: in a society with fewer and fewer public gathering places, it has updated a three-century-old model, that of the Georgian coffee house. You can sit down, check out the local talent, read a paper, open a laptop and if you’re so inclined (and white) order a beverage at your leisure. Starbucks understands why you’re there. With more people living alone, it offers a passive place to be in company. Unlike a bar, you’re not immediately singled out for sitting alone. Most people are alone, and it’s an understood part of the scene. Starbucks is not a pickup place; at least, I rarely see strangers starting conversations there. It represents the new social norm: alone together. The Starbucks model found a receptive market when it started up in the 1970s. With the advent of the Internet, however, it gained a vast new public: the virtual one. You did not need to be physically present to be alone together; your virtual self, among other such selves around the globe, could share an ocean-spanning solitude in which the illusion of community was established at the touch of a keystroke. The corporate platform for this was Facebook. Facebook, like Google and similar social media behemoths, represented itself as a neutral and benevolent site for communication between and beyond family and friends. Its economic model, as Mark Zuckerberg was obliged to inform a particularly benighted legislator, was access to advertising, and modern advertising depends on the sophisticated targeting of audiences through data collection. What you got on Facebook was access to a vast amount of data provided by others, to which you contributed your own. That such data would be harvested by advertisers, not to mention hate groups and trolls, was as certain as that the sun would rise. That, though, was the bargain you made: what you sold for access to Facebook was yourself. In a Starbucks cafe, you have access to the physical presence of others, provided you do not communicate. On Facebook, you can blab all about yourself, but no one sees anyone else except through images, and no one can even potentially touch another person except through words. That world came into being with the telegraph and the telephone. Facebook perfected it. The modern world is about data, diced and sliced as finely as possible. The government, through its access to the electronic devices you use, collects vast amounts of data every day about everyone. This, theoretically, is for the purpose of searching out potential spies and terrorists, both groups in the data collection business themselves. There are a great many other uses to which what the government knows about you can be put, though, including authoritarian control. Edward Snowden pointed this out to us several years ago. No meaningful oversight resulted, if indeed any is possible. The same will be true of Facebook or whatever platforms may succeed it. Our world is beset by hypercommunication. Much of the data exchanged is trivial, and some of it is deliberately false. Some of the data is pulled from us without our knowledge and consent, but a lot of it is voluntarily offered on social media. Personhood was once defined in terms of privacy, the part of oneself reserved from public view and commercial exploitation. As we cede our privacy — or throw it away with both hands — we hollow ourselves out, and allow others to fill the empty space with whatever they wish to pitch. It’s the ultimate model of the consumer, and the ultimate object of consumption is the unattainable “other,” the fantasy promised by Facebook, the person or product that will fill the void within us. The word that defines this condition is anomie. The concept was suggested by Marx in his description of the alienation of the modern worker from his labor. The term itself was put into currency by the French sociologist Emile Durkheim, who called it the “malady of the infinite” — the search for meaning in a world that no longer provided it. Facebook implicitly offers a solution to this dilemma: we will find ourselves in each other. What we have largely found instead is exposure and isolation. Mark Zuckerberg knew what he was peddling when he described Facebook’s users as “dumb f—s” who had no idea what they were getting into. Getting out of it will be tougher than breaking any drug habit. What he and his like have addicted us to is a culture of mutual despair.